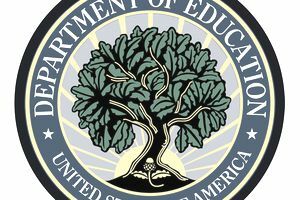 The Department of Education (ED), recreated and signed into law under President Jimmy Carter in 1979, is the smallest Cabinet-level department that exists within the United States government. The internship program with Department of Education is designed to expose students to what it’s like working for a wide range of departments on educational policy within the Department of Education as well as gaining experience working for the U.S. federal government. Department of Education interns have an opportunity to participated in events that are geared towards their internship. The weekly brown bag lunches with top ED officials that are provided for students is one of the most valuable benefits they have since it gives them an opportunity to network with professionals currently working in the field. Students also get a chance to participate in White House tours, softball games (staff vs. interns), and a trip to a DC public school. Students must be granted permission to participate in the program by the institution they are currently attending. Students must be enrolled at least half-time in a course of study related to the work they will be doing. Students must be attending an accredited educational institution, such as high school, trade school, technical or vocational institute, junior college, a four-year college or university. Students agree to do the work without any compensation by the designated agency or department. All students must sign a written document of agreement between themselves, The Department of Education, and their educational institution. All applicants must be a minimum of 16-years-of-age. Applications are accepted on a rolling basis, but it’s recommended that students apply several months prior to their desired start date. Students may then be selected for a first and second round of interviews prior to being notified of their acceptance into the program. Students who are selected for an interview then have a week to either accept or decline the internship offer. Although interns may start at any time of the year as negotiated between supervisor and student, there are four terms where the bulk of internship programming occurs (summer, fall, winter, and spring). To obtain more information on how to apply and to view the Student Fact Sheet, Application Form, and Student Volunteer Service Agreement, please visit the Department of Education website. Be sure to review any specifics in regards to the resume and cover letter required to apply for the program. Below is some information that might be helpful in preparing your cover letter and resume.